Frequent cash withdrawals often indicate a cheating husband situation. Excessive cash withdrawals close to the office or home could be an indication that your spouse is spending money in places where it cannot be easily traced. If your husband suddenly changes their passwords to online banking accounts try to investigate what’s going on. If you’ve been receiving unexpected e mail from unknown credit card companies, there could be a reason. Your spouse may have opened a new and separate account/s. If your husband suddenly starts sorting through the mail more often, they might be monitoring for secrete bills. Bills that they want to hide from you. This is what we call a “red flag sign” of a cheating husband! Also, If you start getting more credit card offers from banks where you do not have an account, it might be an indication of another account being opened. Your partner has possibly acquired a new credit card to conceal his affair-linked purchases. He might have also transferred the current bank statements to the nearest office or a P.O. Box. A major indicator of an affair lies in receipts for cabs, restaurants or items that never make it to your home. Even if your husband is hiding any paper trail of expenses by paying in cash, searching for receipts is an effective way of monitoring how their money is being spent. Pay close attention and it’s very likely that you will stumble upon such financial clues. When having an affair outside of marriage, people generally spend a large chunk of their time communicating with their new love interest over phone, resulting in unusually high phone bills. Closely assess your spouse`s mobile phone bills and you may come across a new number that your partner is talking to or exchanging text messages with. Unexpected increased gas fill-ups and excessive driving is a cause for concern. Inspect the locations of their recent gas fill-ups along with their electronic toll passes. Get to know the exact time and the precise day when your partner was possibly passing through tolls via these bills. Your husband is, in all probability, having an affair if he is spending his resources in neighborhoods unknown to you. You will get a lot of information about the filer from their tax returns. The form shows if stocks or an IRA have been liquidated, if options were changed or if the employee stock was sold. Partners must necessarily assess brokerage account statements for any unusual activity. If your spouse suddenly starts showing financial restraint in household matters, it might be a way to hide their own spending. If your partner is having an affair, they will spend money cautiously due to their increased spending. 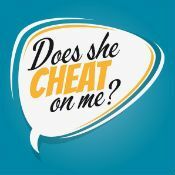 These financial clues are the starting steps towards infidelity even if your spouse is not having a full-blown affair. However, you should avoid accusing them of being unfaithful without any solid evidence. If your partner’s financial behavior has ticked off most of the boxes above you should contact a private investigator. AMS Investigations specializes in infidelity private investigations and provide free 100% confidential consultations.